Some people are easier to shop for than others. Picking up legos for my five year old son, and a doll for my three year old daughter are no-brainers, but what on earth do I give their teachers at school for Christmas that I barely know?? I'm new to this game! 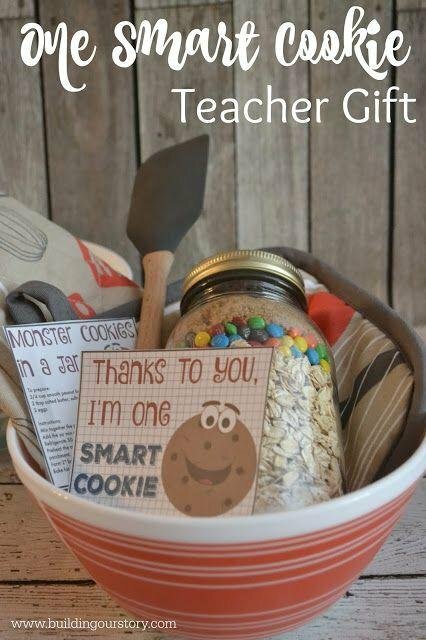 If you want your children's teachers/coaches/tutors to feel appreciated and valued this season, but aren't sure what gift will appropriately convey those sentiments, look no further! Here's a round-up of cute Christmas gifts for all the influential people in your children's lives. 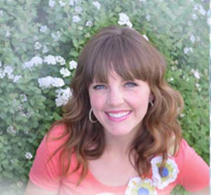 Click on the links to find the original sources- most of them include free printables! 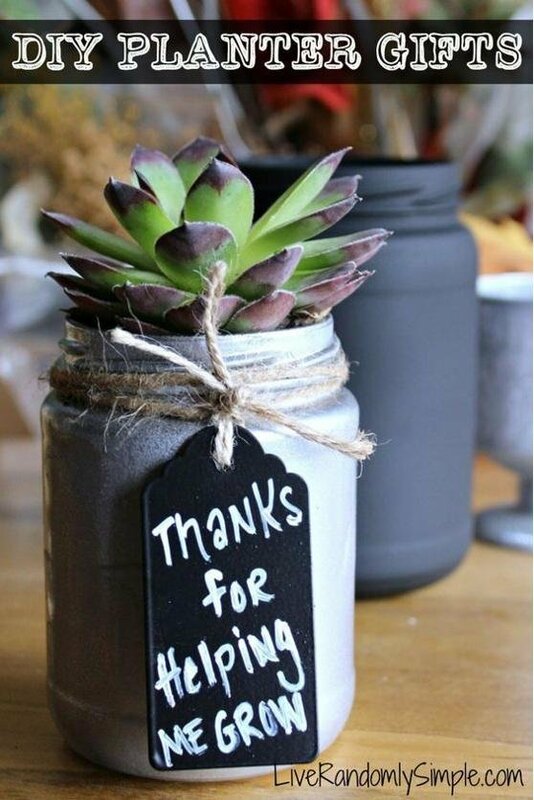 Who doesn't love a cute succulent? Even I can't kill those things, and that's saying something! 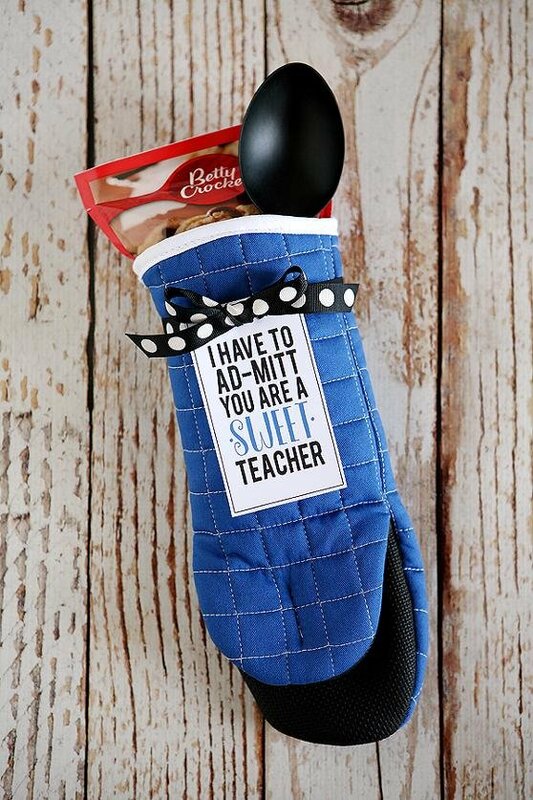 Whether you are a huge baker or not, every human needs a good oven mitt! Very cute, simple, and useful! 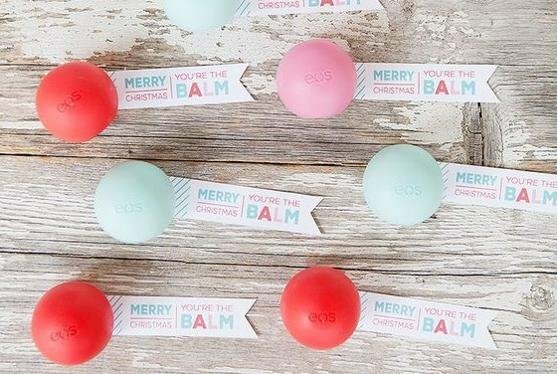 We all need good chapstick! 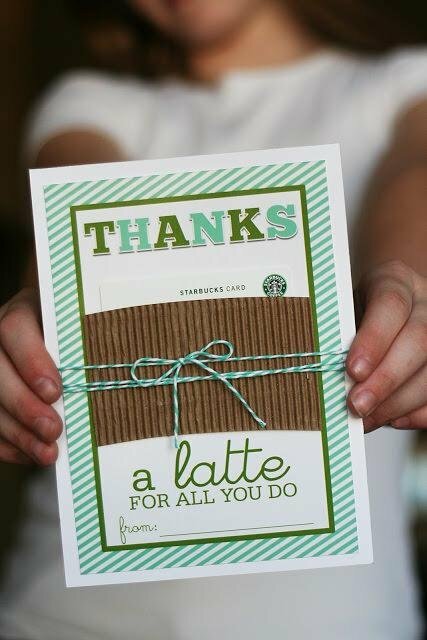 You might not know their drink of choice, but a Starbucks gift card is always a good idea! 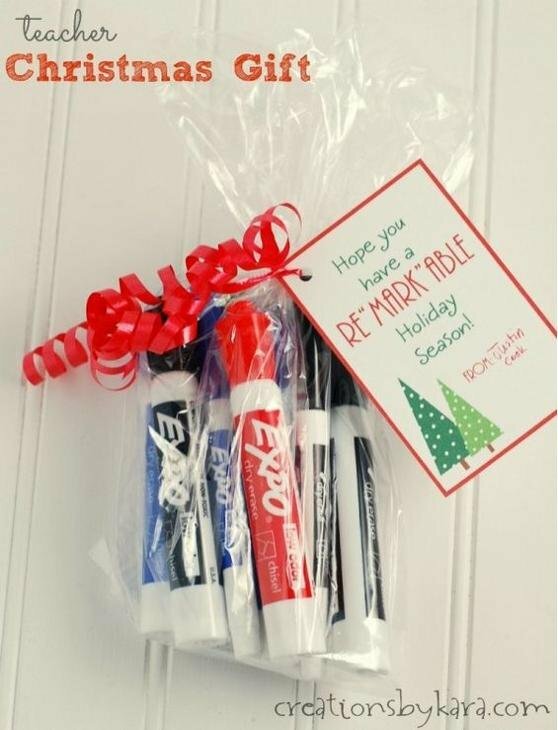 A lot of teacher gifts are cute and all, but this one is awesome because it's SO useful! 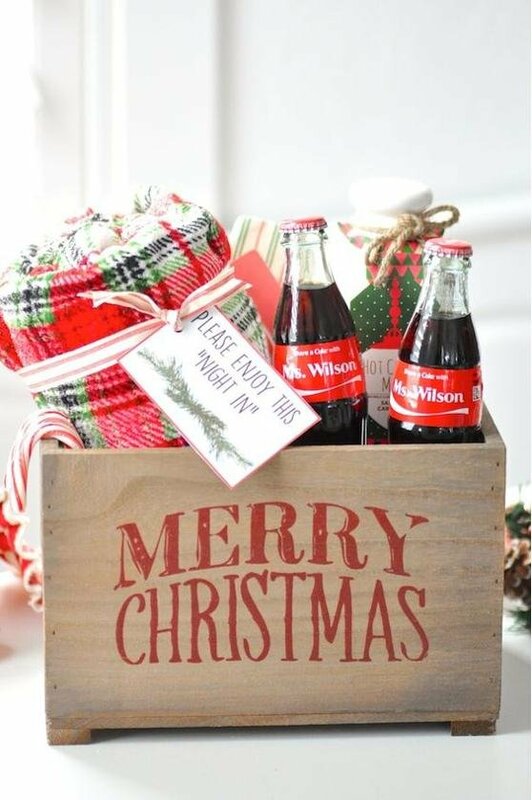 The personalized Coco Cola's are definitely my favorite part of this one. And, that blanket of course! Love the soap idea- this would be cute with lotion too! 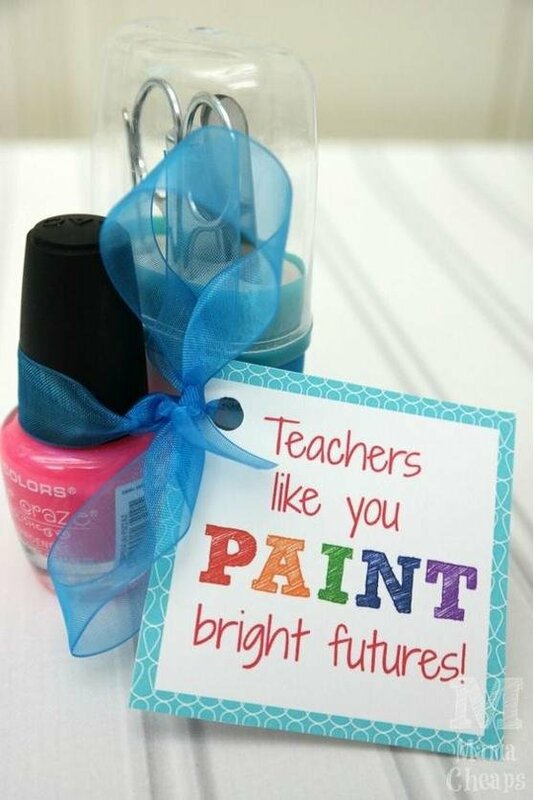 Love the nail polish idea, or a gift certificate to a local nail salon for a pedicure would be fun too (for both male & femail teachers!). There you have it! 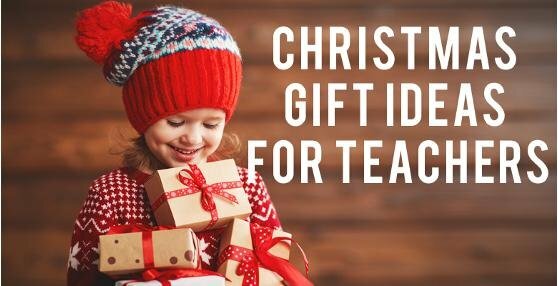 What other great ideas do you have for teacher gifts?